We are in Thailand at the moment before going home in 5 days time. Thank you very much for organising such a fantastic holiday. It was one of the best holidays we have ever had and the organisation was excellent. Everything went like clockwork and the whole 11 days were action packed. The guides were all very good and the drivers very safe. We thought the people of Myanmar were so nice and friendly and the sights were superb. There is so much to see and do. We will definitely be recommending it to our friends when we get home. We enjoyed our trip very much and I hope these comments are helpful to you in planning holidays for other travellers.Finally many thanks to you for all your help. You replied so quickly to all our queries that we felt we were in capable hands from day 1. We just returned from Myanmar with fantastic memories. The holiday completely exceeded our expectations. Really well organised from the the start till the end. We have travelled from Yangon to Bagan,, Mandalay and Inle Lake . The all trip has been really great , from the organisation , picks up from airport and hotels.Very professional , on time and having people who are welcoming on the journey through Myanmar. The drives were great , so was the tour guys with great knowledge and understating what we want and what we like to do. But most of all thank you to ms. THAO DOAN for 24/7 care ,we felt we had, if there was anything we needed or helped with. Every day with the tour guys were great and we have learned a lot. Not to mention the people in Myanmar are really nice and welcoming.We would definitely use this company again in future and recommend to anyone who is on tight schedule and would like to explore loads of different places with professional team." 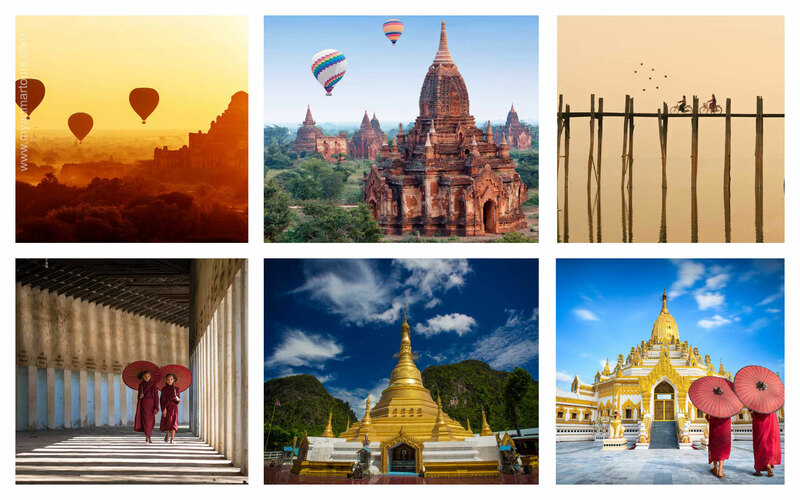 Cities to visit: Yangon – Bagan – Inle Lake – Mandalay – Siem Reap – Phnom Penh – Vientiane – Xieng Khoang – Luang Prabang.